One of the first things our technicians do when they arrive at a customer’s house for service is check the air filter. Technician- “When is the last time you changed your air filter? Here’s your reminder: Dirty air filters restrict the airflow your equipment needs to run efficiency. Dirty air filters mean your system has to work harder and it of course it consumes more energy. 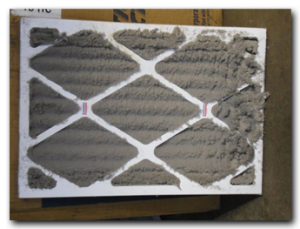 Running your HVAC system with dirty filters will cause undue hardship on your equipment. Do yourself a favor and not only date your filters, add a reminder to your calendar or in your smart phone. You will thank yourself when you don’t need have to pay a HVAC service fee to have a technician come out and change your filters.